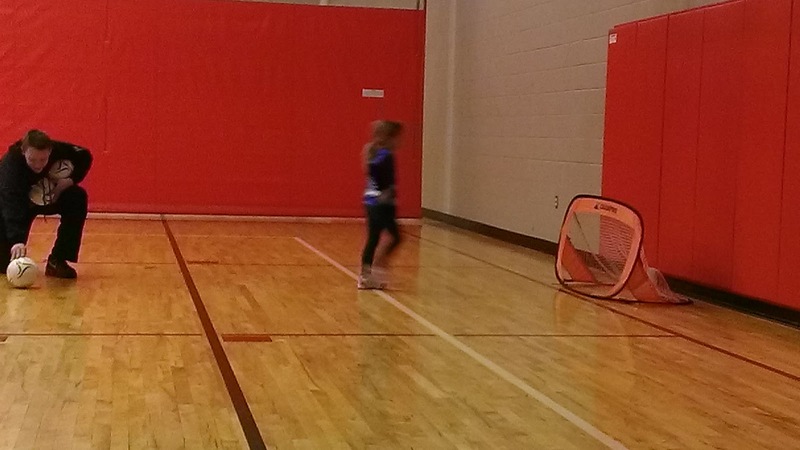 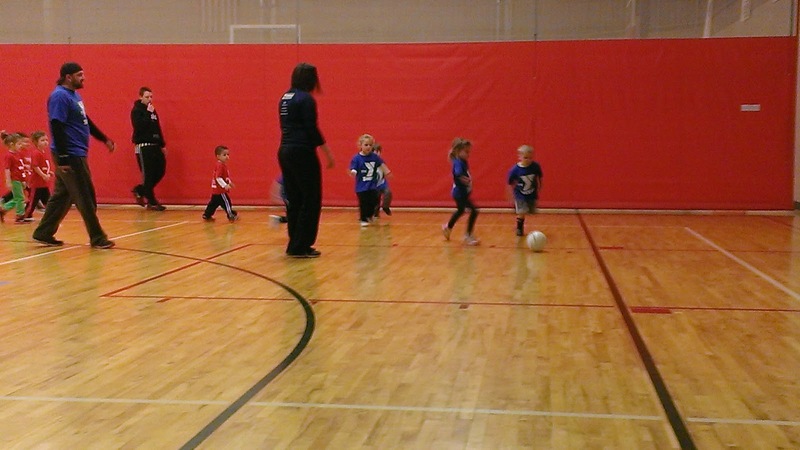 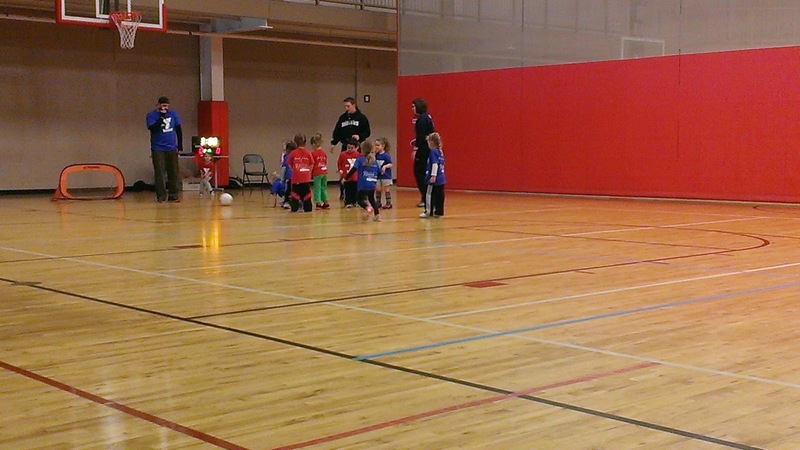 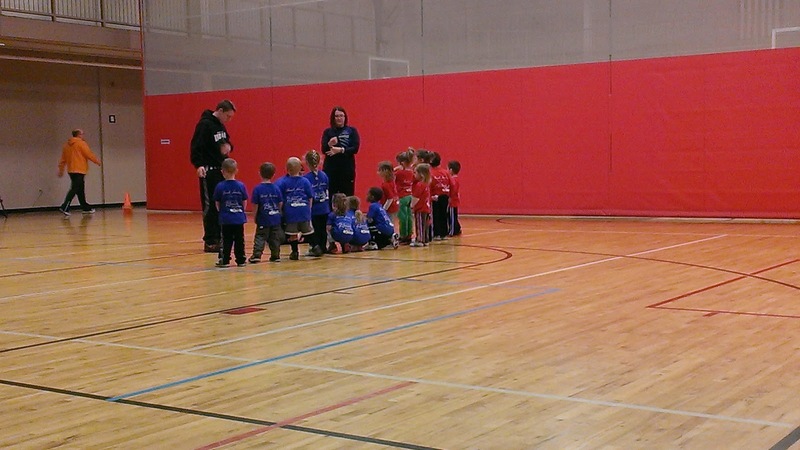 This past weekend was Marley's first soccer game at the YMCA. 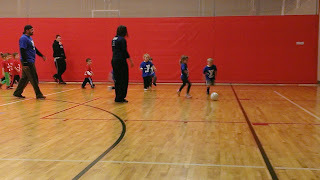 She didn't make any goals but did good running and trying to steal the ball. 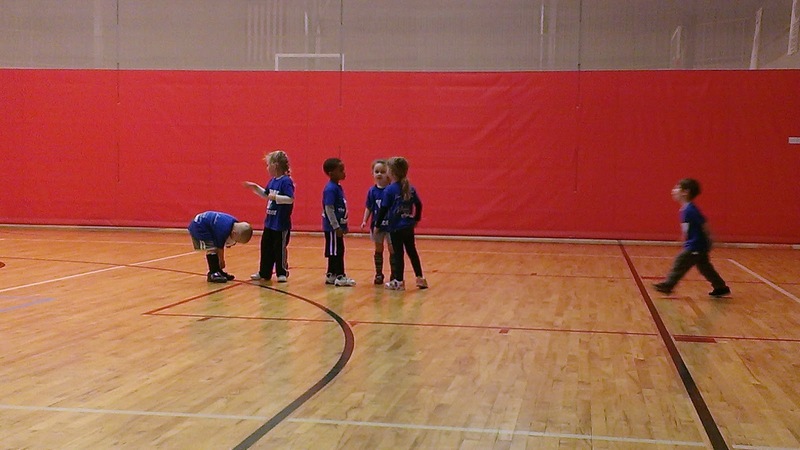 After the game she came walking over and said "those kids are too freaking fast" Poor kid. 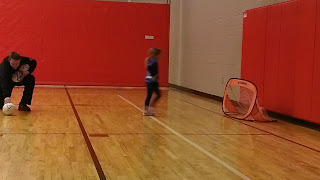 She has practice once a week for a half hour and a game every Saturday morning. There are apparently only two 3 & 4 year old teams, because her team always plays against the red team.